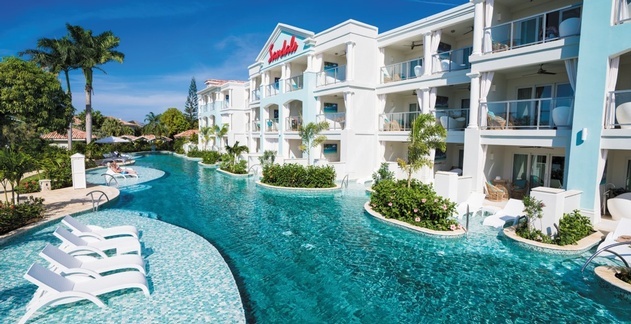 Sandals Resorts, the Caribbean’s leading luxury all-inclusive hotel company is proud to introduce the reimagined and renovated flagship resort, Sandals Montego Bay. First opened nearly four decades ago by Founder and Chairman Gordon “Butch” Stewart, Sandals Montego Bay has remained the heart of Sandals Resorts as the company has grown, expanding across multiple brands and islands to achieve its status as one of the world’s most innovative and well-known hospitality organizations. With a concrete vision of revolutionizing Caribbean hospitality, in 1981 Stewart purchased the Bay Roc in Montego Bay, Jamaica, a rundown hotel next to the airport that would become Sandals Montego Bay. Despite any misgivings from Jamaica’s hospitality community, Stewart set out to exceed expectations – a concept that became his marketing modus operandi – and did, creating the first of what is today, the most popular award-winning, all-inclusive resort chain in the world. And now with this renovation, Sandals Montego Bay is again transformed into the pinnacle of progress and luxury in the Caribbean. 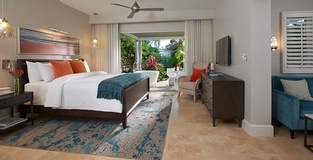 Following this renovation, Sandals Montego Bay now invites guests to come experience the brand’s elevated vision of luxury all-inclusive. 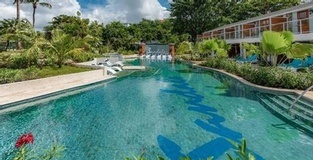 The resort boasts all new room offerings, a new “living room” lobby area, and a high-tech conference center that hosts up to 300 guests – upgrades that position the resort as the best destination in Montego Bay for international and local meetings groups. Furthermore, many new 5-Star Global Gourmet dining additions to the resort are coming soon in 2018 – Butch’s Steak and Seafood, specializing in exquisite chops and meat; a new Jerk Shack, serving the finest authentic Jamaican jerk; and Soy, a sushi restaurant. Couples will also be able to enjoy premium spirits and stunning views at the resort’s new over-the-water bar called Latitudes, equipped with cantilevered hammocks and underwater lighting. The resort continues to be a destination for people in love with its new over-the-water chapel coming in 2018, where couples can tie the knot. Couples can come to the resort for one of Sandals’ romantic, all-inclusive Weddings, Honeymoons or Retie the Knot ceremony.